We worship Jesus as the one God sent to save us and restore us. To worship is to give extravagant respect or admiration to something. When we worship Jesus he gives us life like nothing else can. We place our faith in Jesus, the Son of God and Savior of the world. Our faith and hope in Jesus is not without convincing historical evidence. Learn more about this Jesus who offers us healing and hope and put your faith in him. A witness is simply someone who tells others what they have seen and experienced. We have seen and experienced how radically Jesus has restored our lives from pain and brokenness and made beautiful things out of our lives. 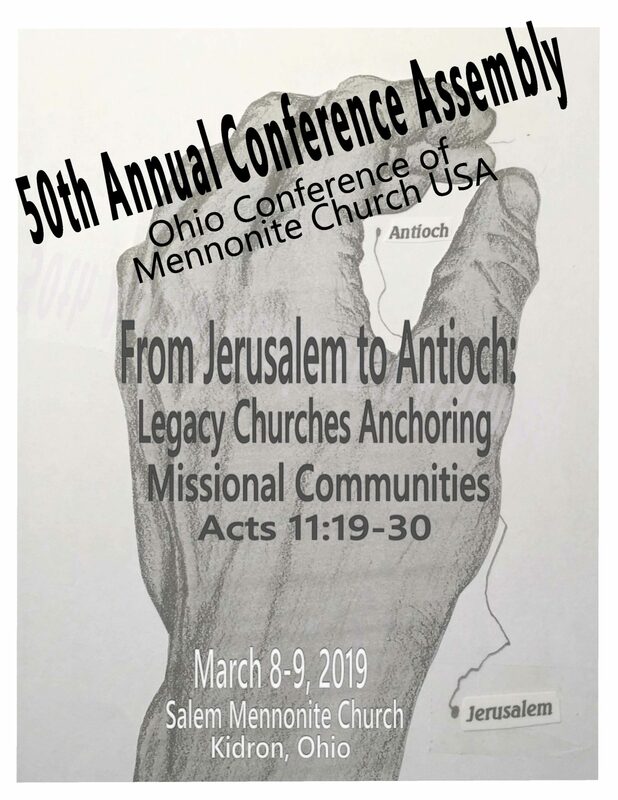 Two hundred and four people attended the 2019 Annual Conference Assembly of the Ohio Conference March 8-9 at Salem Mennonite Church in Kidron. 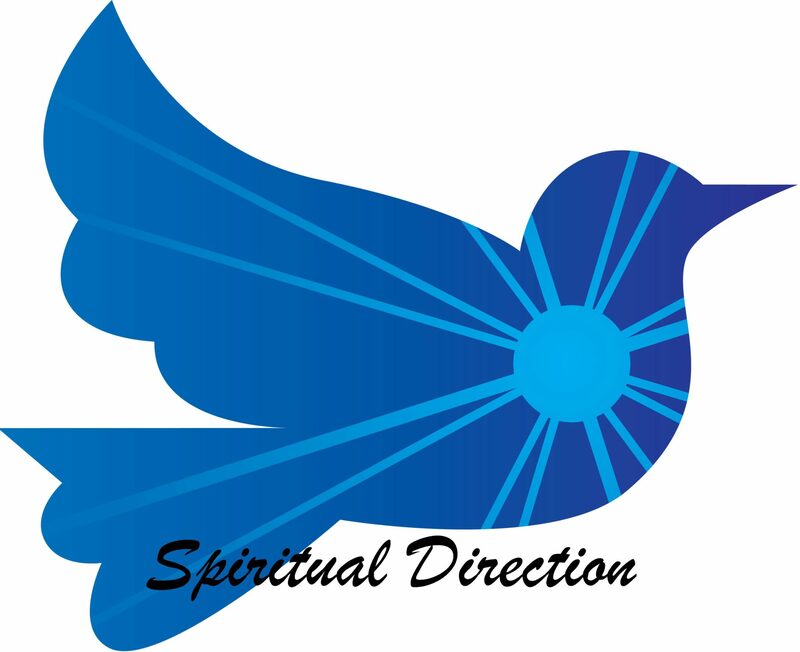 Thirty-eight congregations were represented by a total of 162 delegates. 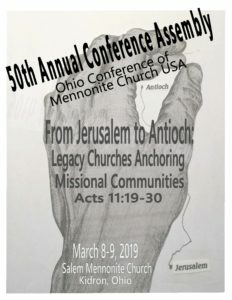 The theme was “From Jerusalem to Antioch: Legacy Churches Anchoring Missional Communities.” Eighty-eight people participated in the pre-ACA missional conference March 7-8.